Thanksgiving Leftovers Casserole is a recipe I am super excited to share with everyone. 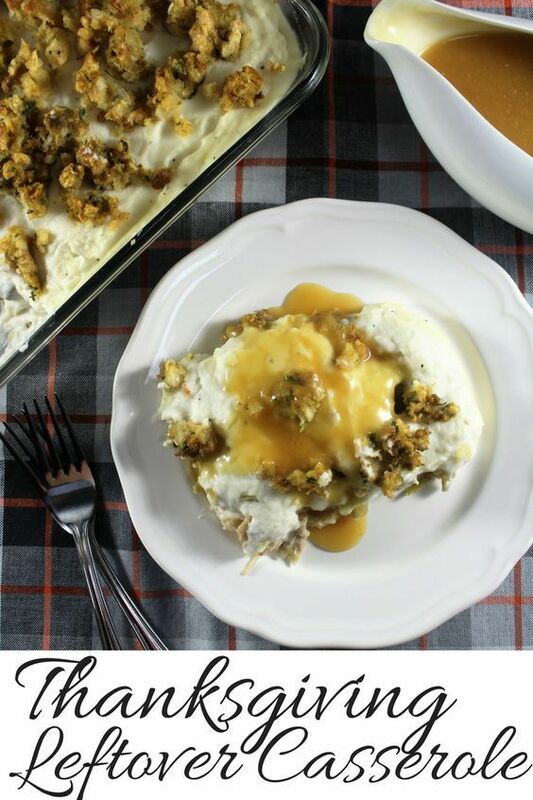 This casserole utilizes all your favorite Thanksgiving day leftovers into one amazing dish. It begins with a layer of stuffing, topped with a mixture of turkey, vegetables, and cream of mushroom soup, with a heaping layer of mashed potatoes, topped with more delicious stuffing and gravy drizzled on top.